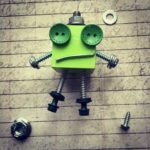 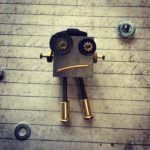 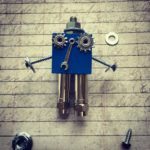 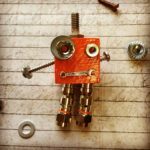 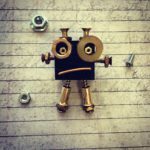 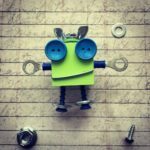 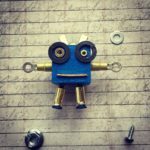 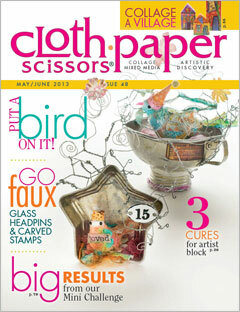 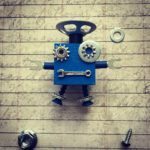 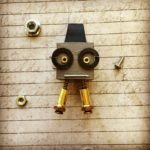 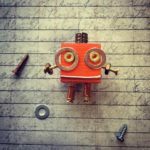 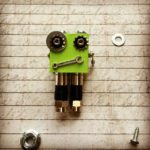 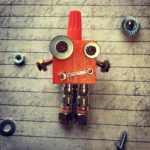 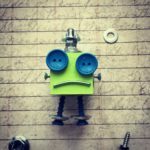 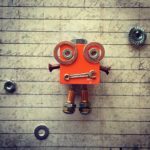 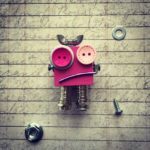 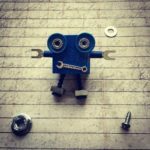 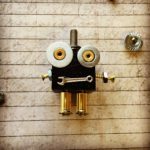 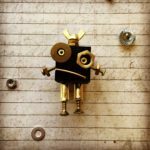 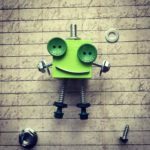 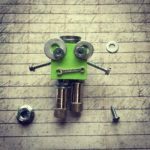 These little one-of-a-kind robot magnets are upcycled from household objects and hardware into mini cute assemblages. 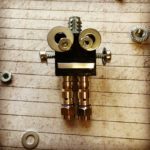 A very strong 5/8″ round magnet is glued to the back of each and will keep your new friend secured to any magnetic surface, including your refrigerator door. 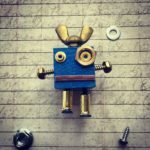 Part of a series that I created for the 2018 DelawareFunADay.com, the robots measure from 2 1/2″ to 4″ tall. 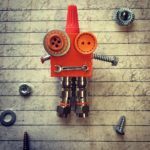 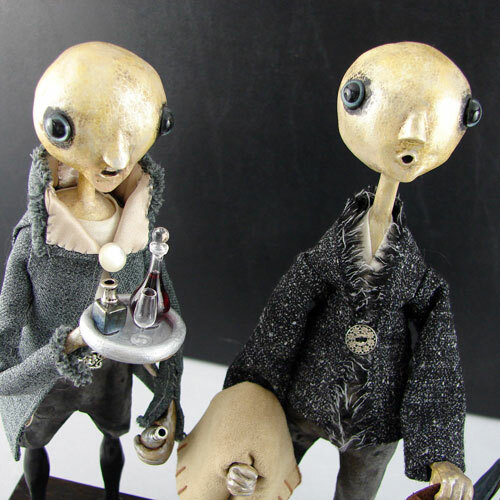 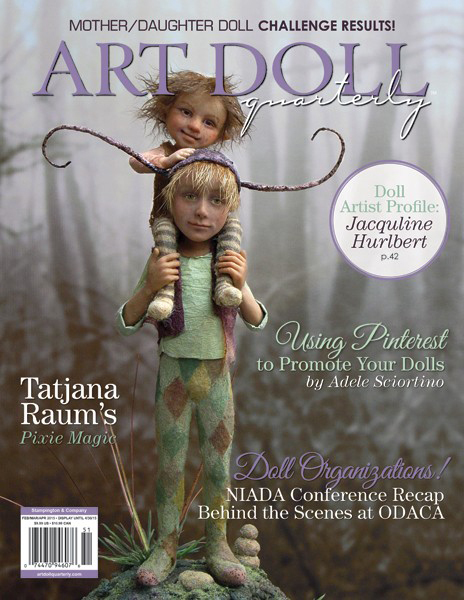 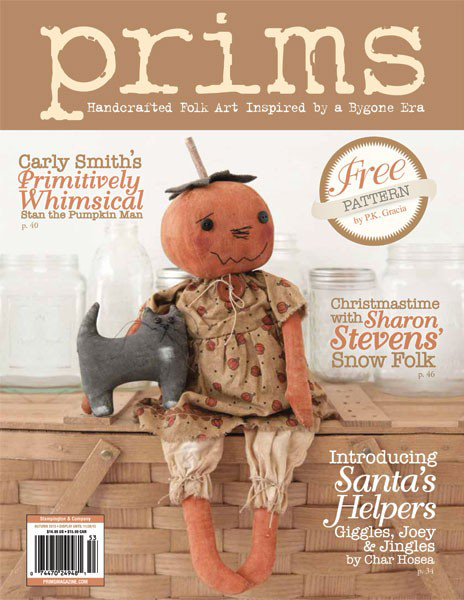 They are made from 1 1/8″ children’s wood alphabet blocks, found objects, hardware, various recycled components and lots of imagination. 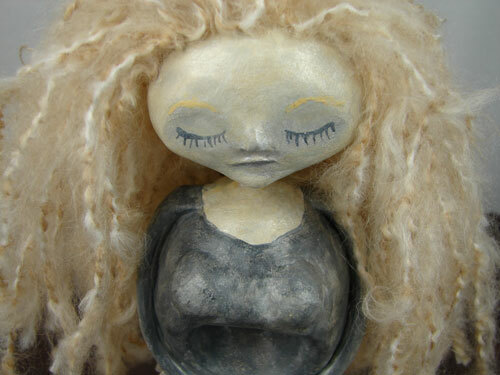 I’m selling these in my Etsy shop so please visit there to buy one of these little guys. 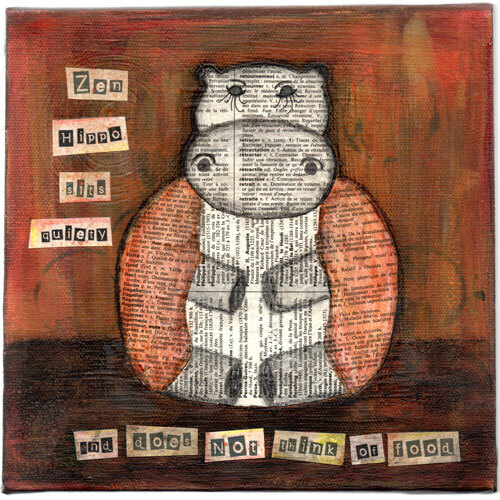 If you live in Wilmington, Delaware, you can adopt one of these from the Bellefonte Art Gallery.